Kyron McMaster and Chantel Malone, finished the 2017 year ranked No 2 and No 10 in their respective events according to Track and Field News event by event Top 10, released by the magazine on January 4. 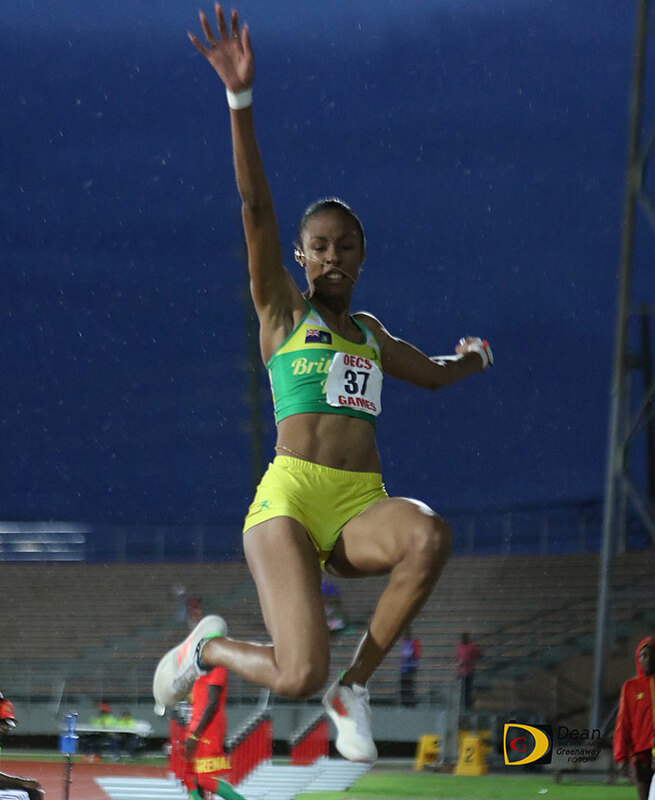 It marked the first time that BVI athletes have ever cracked the Top 10 in the annual rankings at season’s end. McMaster, a 400m Hurdler who had the fastest time in the world of 47.80 seconds, was disqualified during the August International Association of Athletics Federations World Championships in London, then rebounded to win the IAAF Diamond League Trophy by beating all the World Championships medalists and finalists, finished No 2 in the rankings behind Norway’s Karsden Warholm, who won the world title. McMaster bested Warholm in the Diamond League final. 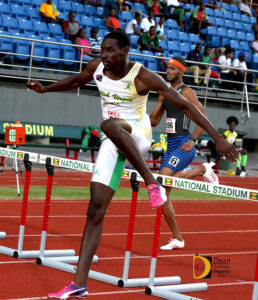 McMaster who was coached by the late Dag Samuels, is now being coached by Jamaican Lennox Graham in South Carolina. Graham coached Jamaica’s Danielle Williams to the 2015 IAAF World Championships 100m gold medal. “With training going so good, I’m looking forward to a great year,” McMaster said. Kyron McMaster clears the final 400m barrier en route to demolishing his own OECS Championships and the Kirani James Athletics Stadium Record with his time of 48.49 seconds. 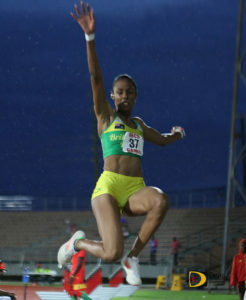 Malone, a Long Jumper who began her 2017 season by equaling her best of 6.69m (21’11½”) was taken down by injury and was out of competition for two months, rebounded to qualify for the IAAF World Championships during the OECS Track and Field Championships in Grenada in July and finished seventh during the IAAF World Championships, is 10th overall. She’s the first BVI athlete to make the finals of an IAAF World Championships event. Like McMaster, she will compete in the Commonwealth Games in Gold Coast, Australia in early April.